lines I drew: Happy summer greetings from the dark side! 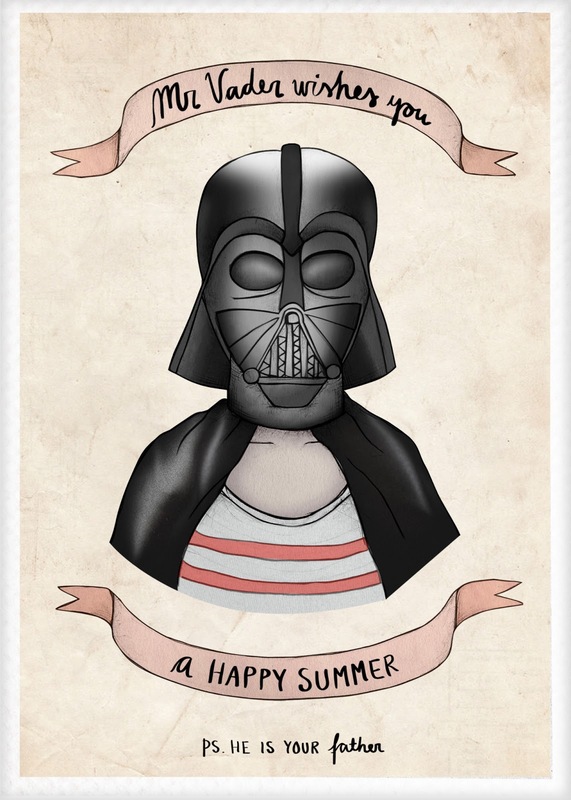 Happy summer greetings from the dark side! Last week, a me and a small group of my friends, including the sweet illustrator lady Suzanna Knight, who also worked as the copy-editor for my magazine Dear Fashion Journal, and Sarah Meers, my BFF (yes, I did just say that and yes, I'm almost 25 years old and YES, I do find it amusing) and partner in crime, decided to start a monthly drawing group! 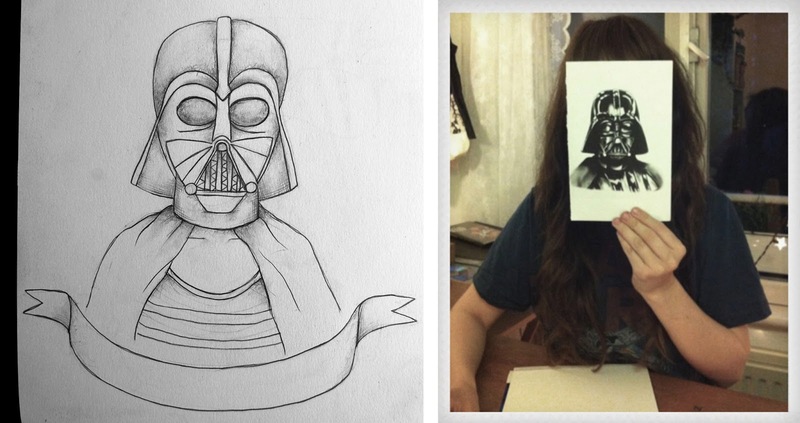 This week, we had our first meeting, and somehow strangely we ended up watching Star Wars and drawing Darth Vaders. Drawing him was so much fun, and today whilst I was waiting for feedback from a client, my Darth Vader sketch transformed into a greeting card. Drawing him was quite a challenge not only because of the very detailed mask he has, but also because he is not a very colourful dresser. His personal style is awfully black and he could definitely do with some variety in his outfits, so instead of dressing him to defend the dark side, I decided to put him in some more summery and beach appropriate clothing. He became quite a hipster in his striped shirt, didn't he? Surely, he is wearing a pair of Converse, too, holding a laser sword in one hand and a Panama hat in the other. Hello baby, welcome to the world!